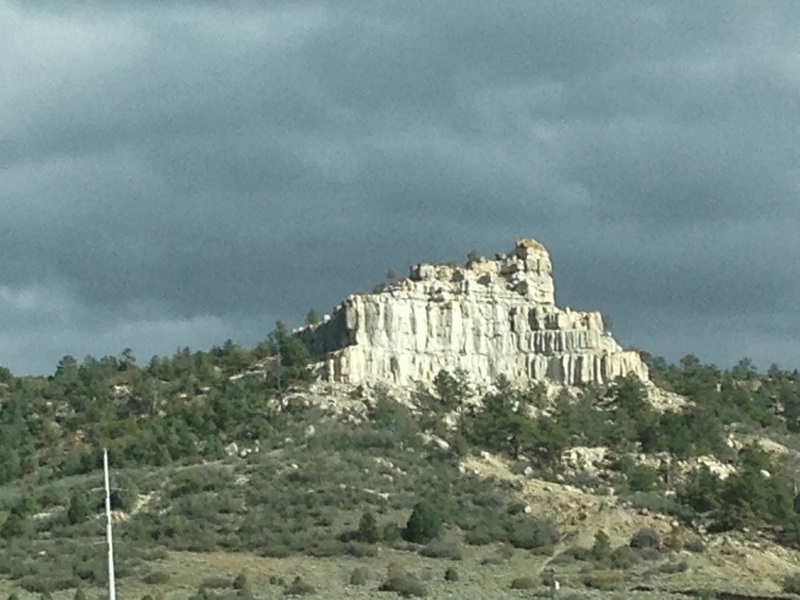 I didn't have any good photos to capture day two so you get this nice picture of a neat rock feature from my trip to Denver. I will say I wasn't terribly excited about day two. Kicking off the morning with hot water and lemon juice isn't the most pleasant way to wake up but it does wake you up. 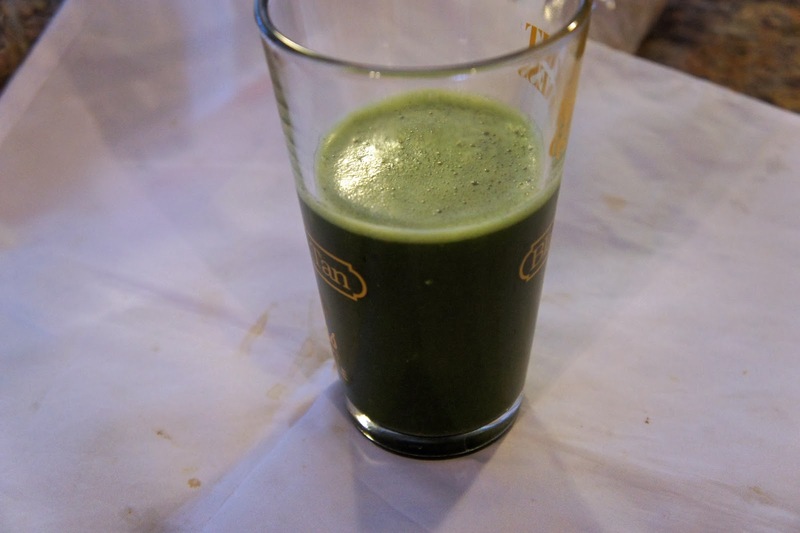 The morning's juice was not nearly as tasty as day one, it was made of celery, cucumber, pear and spiralina powder. I guess apple tends to be sweeter which helped with yesterday. Fortunately, there was a lot less volume to drink closer to 16 oz of liquid. I forgot to mention each mid morning we took milk thistle tincture in water with a chaser. This was suppose to be for healthy liver function. But I got a handful of walnuts and apples to help wash away the taste. Lunch was pretty good the juice was made of pineapple, apple, fennel, ginger and aloe juice. I was a bit fearful of the licorice taste of fennel but there was no trace of the flavor and I really enjoyed the spicy ginger (I think we doubled up on the ginger to use it up). This juiced up to about 27oz per person. We had a mini picnic with our hummus and miso soup before we went shopping. I will admit at this point I was a bit cranky, my wife called it withdrawal from all the bad stuff we usually eat, I still think it was the fact I had to pass up swedish meatballs. More water and lemon with some grapes and "mixed seeds" (pumpkin and sunflower). Dinner was an interesting juice was made with carrots, sweet potato, apple and cucumber. I didn't know what to expect out of the sweet potato juice but it tasted pretty good, just a touch too carrot-y tasting for me. Another 27oz per person for this juice. 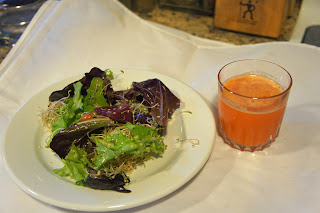 We had another salad with mixed greens, beets, beans and sprouts with our juice. No dressing specified this time so I just spritzed in some flaxseed oil and a bit of salt and pepper. I think we both preferred this over the "lemon dressing" from the day before. And for our final "meal" we had a small juice of watermelon, cantaloupe, and cherries. I could not find any fresh cherries so I had to resort to frozen. 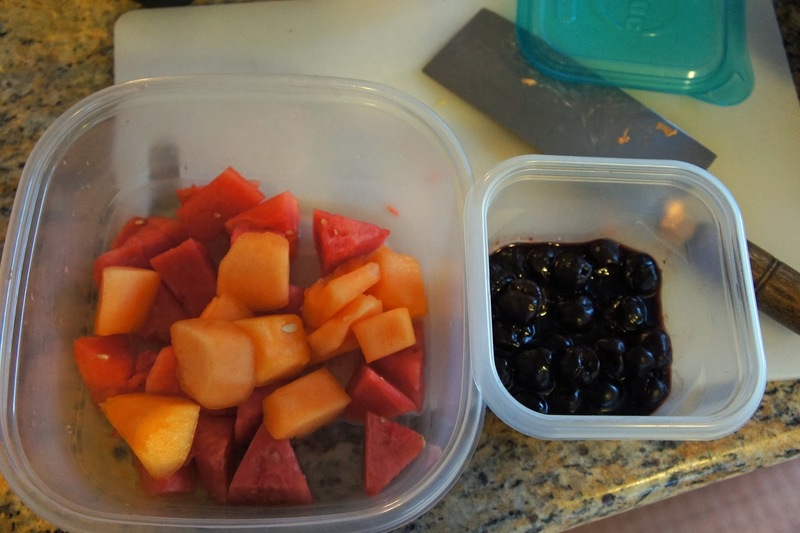 The cherries provided the bulk of the sweetness which was cut by the watermelon and cantaloupe so it was a nice and tasty juice. We ended the day with a mug of chamomile tea. I'd do this again just not next weekend. We spent a lot of time chopping and cleaning vegetables. I was never hungry, but I did have a lot of cravings. In fact most of the time I could not finish most of the meals or was forced to "power through it". The juices were far more tasty than I gave them credit for when I looked at all the recipes. I think my wife and I plan on starting our day with a green juice. I'm going to start my lunches or dinners with a large salad first with a simple "dressing" oil and salt and herbs. I suspect i'm probably not eating enough quality food meaning: being full is fine and ok as long as your have a larger percent of your intake being vegetables and micronutrients. I had a good time experimenting with this. I think it's nice we've found a way to incorporate some new habits into our day to day. With a bit more practice I may go ahead and try out a week long juice fast but since holiday season is right around the corner it may have to wait for the new year. So I stumbled on this video on Netflix called "Fat Sick and Nearly Dead" by Joe Cross. Basically it's this Australian who travels across America and talked about this 60 day juice cleanse and chronicle the benefits he and other's he's met along the way have received. I found the documentary more anecdotal about these people's results and a little low on the facts and figures (I respond better towards factual evidence) but I got the point and it sounded like a neat idea. I found a book called "The Juice Diet" by Christine Bailey. I liked the book because they had a weekend, one week , and juice for life section depending on how much you wanted to commit to the plan. 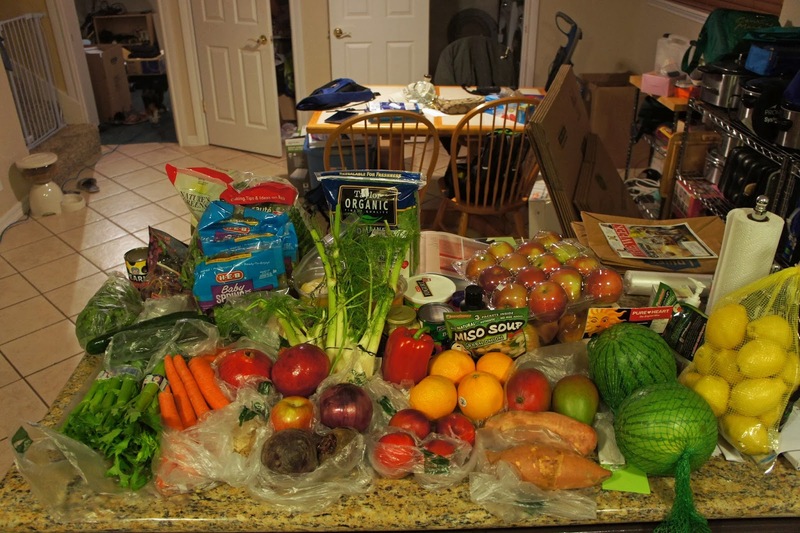 And each section had a shopping list (fair warning the shopping list was somewhat incomplete) and a full plan on what juices and what to eat when (very helpful). First we start with the tech: an Omega 8006 juicer. 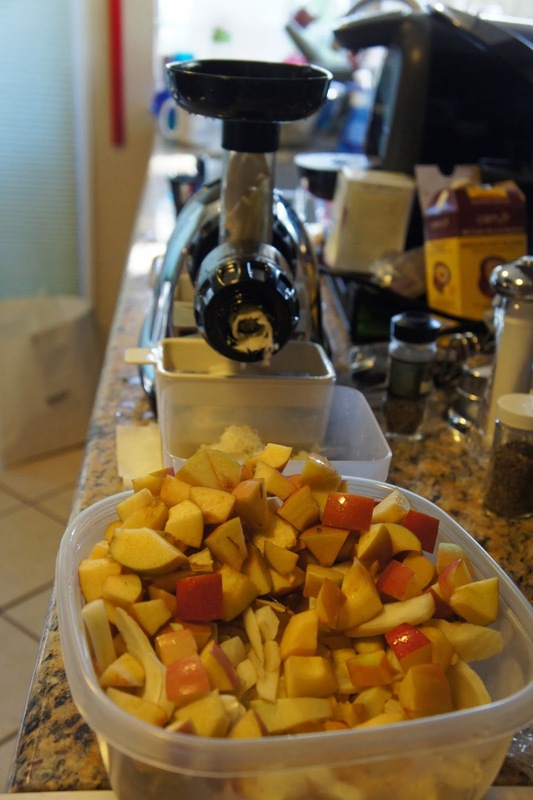 It's a masticating juicer meaning it has a spinner auger that crushes the vegetable/fruits to extract the juice. I chose this over a "centrifugal" juicer that push the veggies thru a spinning blade and uses a spinning colander to collect the juices, kind of like a food processor that would have a inner bowl in it to catch solids and fling juice to the outer bowl. From my research I went with the masticating juicer for the following reasons: 1) it pulls more juice out than the centrifugal juicer (I can't verify how much since I don't have anything to compare with, but the resulting pulp was very dry) 2) Centrifugal juicers tend to run hot and the heat does contact the juice. Purists will tell you that raising the temperature of the juice can destroy precious enzymes and nutrients. (ok that wasn't a major selling point but it made sense) 3) it's easy to clean 4)most importantly, it's not a single trick pony. the Omega 8006 can churn out tubed pastas as well as grind nut butters, almond milk etc. Cleanup was very simple we ran thru a few juices at a time and cleaned up between juices which really took like a couple of mins. You can see in the following pictures how small you need to cut food to feed thru the processing tube. The program? Basically we "ate" five to six meals/snacks per day. You can see the produce I purchased in the above title shot. (that was most of the food, a few things were missing from the picture). It all came out to roughly $200 in groceries $40 of which were supplements. We started each day by downing a mug of water mixed with half a lemon (bleh). Not a promising start. 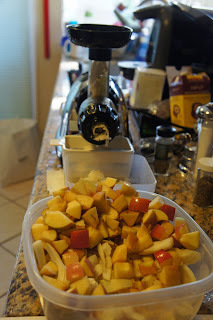 I was pretty amazed at how much juice we were able to get out of our first juice. Here's the before of the bowl of veggies (Kale, apple, celery, lemon). And here's what was left roughly two liters of juice and pulp. I didn't think there was so much liquid in kale, but I will say the resulting juice was quite tasty (despite it's appearance). Mid morning we had some chamomile tea and two handfulls of mixed seeds. Lunch consisted of a giant salad and more juice: Pomegranate, grape, apple juice blended into a smoothie with yogurt flaxseed and some anti oxidant blend which came out to about 27oz. The salad used flaxseed oil, lemon juice and hemp seed as dressing. As my wife put it, "my stomach is full but my heart is empty". The lemon juice was way too sour to be pleasant, I would have preferred salt and pepper with oil. Afternoon snack was more tea and some hummus with some celery sticks. Dinner we made a soup of white beans, sweet potato, celery, red onion, carrot soup and the juice was made of mango orange and beet. I ended up adding a touch of salt and a heavy dose of oregano, basil and thyme into the soup to give it flavor. We couldn't finish soup. What you see above is only a fraction of what I had to eat. The juice was nearly half a quart and the soup was nearly two quarters per person. Finally for the last meal was a mix of romaine, pineapple and apples. This wasn't my favorite juice, definitely tasted grassy and some almonds. I was so full I could not choke down the pear I was suppose to eat. Still, I felt quite content with the food and I was feeling quite positive about the experience. Onto pt. 2! Preview: feeling cranky. As always it's been crazy and getting time to cook has not really happened for me. I'm just glad I've had two posts in a row about food I've cooked even if there's been a long break. It's been a while since I've done a Japanese traditional bento and I figure why not. Most everything I cooked was from a blog that helped inspire me when I first got started on this blog, Just Bento and sister blog Just Hungry. She's got a lot of wonderful recipes and even produced a book. Lots of great tips that I've followed (even applying to non Japanese foods). I've posted links to the recipes. For the main dish I made Chicken Nanban. I used chicken thigh meat and went with using my fryer since I had so much chicken to make. The original recipe called for pan frying, I'm not sure if using the fryer was actually worse or better in terms how healthy the dish is. Immediately after frying you cool the chicken in the Nanban sauce, which is a sweet, soy sauce mixture (I omitted the pepper one of my bento-ers is heat adverse this time). The texture was very interesting obviously not at all crunchy rather a spongy texture and a pleasant sweet sour flavor, not sweet and sour pork radioactive pink kind of super sweet but definitely cuts the fat of the fried chicken. But by soaking the chicken right after frying the sauce does a good job permeating the chicken pretty uniformly. For a side dish I've really wanted to try this Stir Fried Konnyaku dish. I ditched the tuna and went with green onions, garlic chives tend to be an acquired taste and pretty foreign to an American palate. Konnyaku is a really interesting ingredient, it's made from the flour of the elephant yam plant. It has zero calories, super high fiber, no flavor, and the texture of a firm gelatin (has a definite "snap"). It's used as part of a weight loss "diet" cooking. Kind of like tofu you either have to cook it by itself with the sauce (to absorb) or have a lot of sauce in the dish so it can take on the flavor of the dish. Here I sautéed it in soy sauce first and then cooked the bean sprouts and onion. If you follow the link above there's a bit more information on Konnyaku. A quick sesame pickle. My version usually has garlic, which can be a bit over powering. I made this dish the night before because I think the flavors really soak in and develop with some extra time. And it got better the following day so doing it two days ahead wouldn't be a bad thing. The rice was something I put together when I found this great Roasted Seaweed and sesame seasoning. I just fried the rice a bit and tossed in the seaweed. I think this would have been better fresh (the seaweed would have been crispy) but the flavor was nice all around. Usually in a bento the rice would have been shaped (onigiri) but the rest of the box was meant to be served atop the rice so I left it as is. I have a backlog of posts that I've been wanting to put up, hopefully I am able to dig out some free time and get some extra posts in. Thanks for hanging in there for me. Stir fried Konnyaku with bean sprouts and green onions.